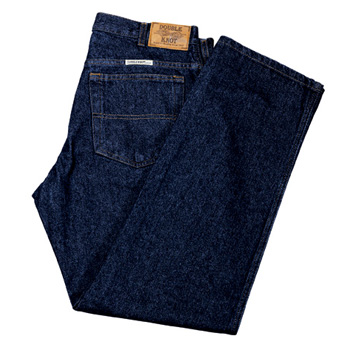 Traditional fit denim jeans are already pre-washed and pre-shrunk to offer a comfortable fit. These double knot denim jeans hold up against tough work environments and are great for the outdoors. Industrial jean has deeper pockets and bartacks at points of strain for extra strength and durability.